The modern hockey game has been developed more than 150 years ago and has become part of the Olympic program since 1928. It is a non-contact sport and is played by two teams of 11 people. The team which scores the most goals wins. Hockey for the young, the young-old and the old ones! You may think hockey is only for the very fit. Then you’re wrong! Hockey can be played by people of all ages. 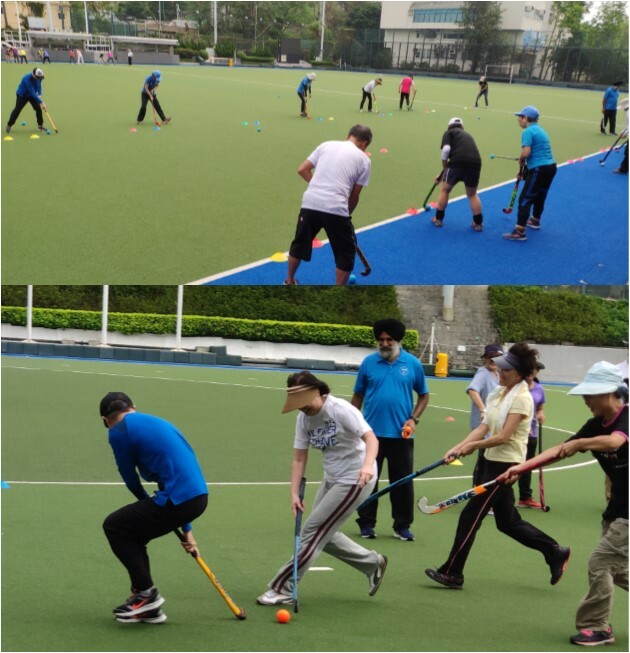 The oldest active hockey player in Hong Kong is aged 80. Whats’ more, there’s walking hockey for those who want the fun of playing a team sport at their own pace. Enrol in these sessions where you will learn the basics of the gameand enjoy the fun of playing hockey with other people.